Sciblogs | Federated Farmers: sticking their heads in the soil? So I guess it’s blindingly obvious why Federated Farmers want to avoid talking about the causes of climate change, because farming, at 48 percent, is the largest contributor to our burgeoning greenhouse gas emissions, and the present government has exempted them from the emissions trading scheme, the one they’re consulting on at the moment. But let’s look at impact of climate change on farmers — what they might be “dealt” as a result of the climate change they’re contributing to but not willing to do anything about, and what they have to look forward to. One climate impact we can look forward to in New Zealand is increased drought. We’re starting to experience droughts here already, like never before. One obvious problem with increased drought is lack of water. And the expansion of industrial dairy farming — often chopping down forests that used to act as carbon sinks — is driving a massive investment into irrigation and increased water use. In February this year, during the worst drought experienced by the South Island farming community, maybe ever, Fed Farmers’ Environment and Water spokesman Ian Mackenzie was on the radio slamming the Government’s Crown Irrigation Fund for providing loans for famers, rather than actual investment for irrigation schemes. The pressure is going on, with both Federated Farmers and Irrigation NZ both pushing hard for Government — and therefore the taxpayer — to front the costs. What is climate change costing us? This year’s drought has shaved 0.5% off GDP growth, according to ANZ. Farmers freaked out in February as the unprecedented Canterbury drought forced the shutting of the Opuha Dam for irrigation. Meat prices dropped as farmers, unable to feed their animals, had to cull them. Even Bathurst Resources, which, in the face of plummeting coal prices, is having to rely on supplying coal domestically, reported a drop in income in the first quarter of this year because its main customer, Fonterra, had less milk to dry and therefore used less coal. The 2013 drought in the North Island was the “worst in history” according to scientists and cost the country around $1.3 billion. 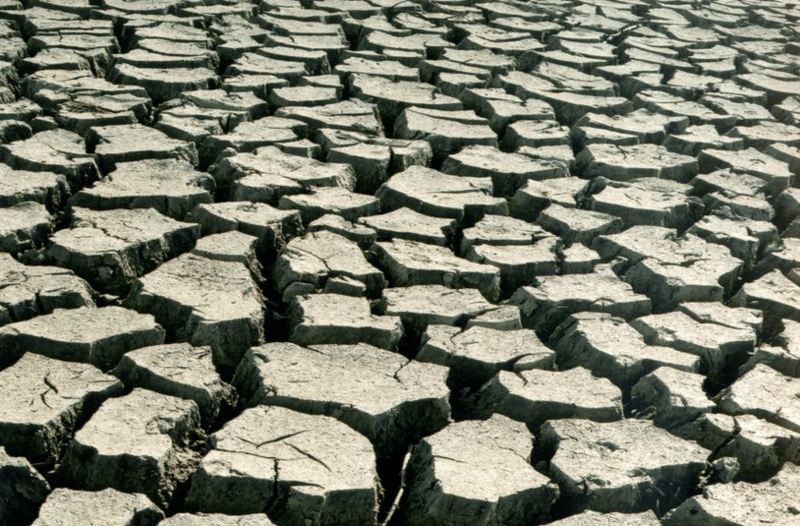 This drought has now been confirmed by scientists to have been made worse by climate change. The 2007-08 drought had a $2.8 billion economic impact, in on-farm and off-farm costs. Let’s turn now to the damages from floods and storms — the type of extreme weather events that are expected to come from climate change. By September 2014, weather-related Insurance had cost $135.4 million. The Insurance Council of NZ predicts that this type of event will cost, on average, $1.6 billion a year, as climate impacts kick in. Of course not all of this cost will be laid only at a farmer’s door, but if you look at the Insurance Council’s list of big disasters the insurance industry has had to pay out for in recent years, it’s clear that farmers have certainly suffered their fair share of impacts. Given that 97 percent of climate scientists agree that climate change is happening, and that we’re causing it, and we’ve now had no less than five IPCC reports, the question has to be asked: where has Federated Farmers been? Its leader-with-no-position, William Rolleston, is supposedly a smart man. According to this profile, “his appetite for all things science is fuelled by reading on the origins and workings of the universe, biology and natural history.” He sits on the Ministry of Science, Business and Innovation’s Science Board. So you’d think he’d maybe have read the IPCC summaries, or consulted some of his colleagues on that board about the science of climate change, its causes and its projected impacts, and realised that you can’t have “no position” on climate science. If you are a scientist, you don’t get to pick and choose which bits of evidence you believe in. You live with the facts. For a group that purports to be acting on behalf of farmers, one would think that in 2015 Federated Farmers would be taking this issue, and its causes, extremely seriously. The droughts that farmers are feeling today, at 0.8ºC of warming, are already having a serious economic effect on their industry and, given that current projections are that we’re heading to 4ºC of warming, you’d think they’d be going all out to do what they can to stop it. But denying its very existence? Seriously? I just hope that the rest of the country’s farmers, ie the 85 percent who are not represented by Federated Farmers, aren’t quite that stupid. But if Federated Farmers refuse to take any responsibility for — or do anything about the causes of climate change — and instead continue upping production without paying any attention to emissions, the question has to be asked: why should the taxpayer, and the Government, continue to give them handouts for drought relief or storm relief, or give them a free ride on the costs of their emissions to the rest of the economy? Why should we stump up for massive irrigation schemes to pay for even more irrigation so they can ramp up production further?